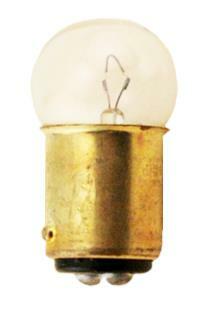 21-6 candle power light bulb, double contact, 6 volt, (offset pins). Overall height is 1-5/16 and the height of the glass only is 5/8". Used on our part# T-LDSA and T-LDSR as well as some original lights. Red Tail Light, double element.